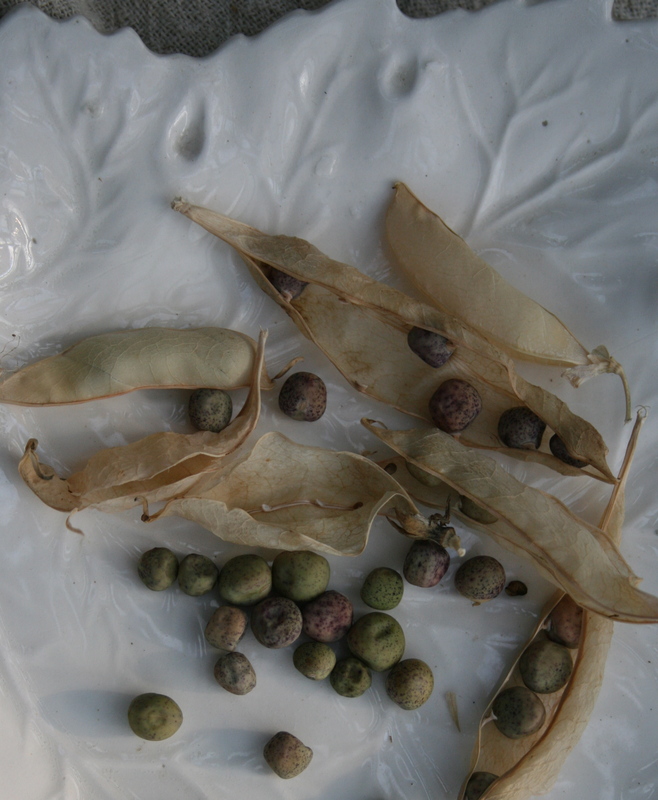 Saving seeds from the Heirloom Dwarf Grey Peas. I like to allow the pod to dry and crack them open to allow air circulation. Dry the peas completely before storing in an airtight container. Label and Date your seeds! Each year I to more and more seed saving, I’m even doing some propagating this year. It’s fun to do, if I have the time! I wish I would have saved peas to dry this year. It was a good growing season for them. I hope to participate in a seed exchange here in Oct. I have little containers of seeds drying all over the greenhouse. Will have to start folding some seed packets! Even dried out peas can be beautiful! I do this with my Baptisia seeds, which also lay themselves in pods. I will have gazillions of them when I am finished and would like to share them with anyone that wants to grow a Baptisia…also a member of the pea family. Saving seeds has become one of my favorite garden chores! How fun to share seeds…I would love to exchange some seeds with you Jeri!